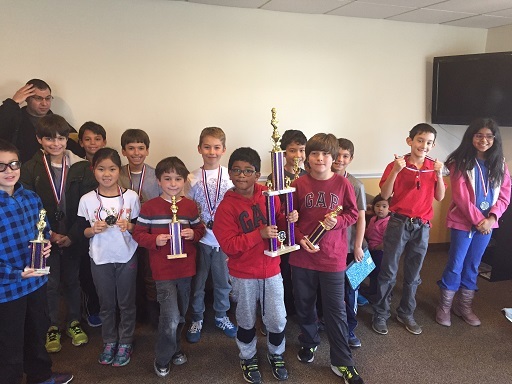 This month's K-8 Scholastic Championship hosted very eager and determined players of various ages and ratings. Every player, regardless of skill level, demonstrated remarkable sportsmanship and all focused on having fun and learning during their four G/30 games. There were 12 players in the K-2 Section. Raghav Arun took first place with a perfect score of 4/4 total points! 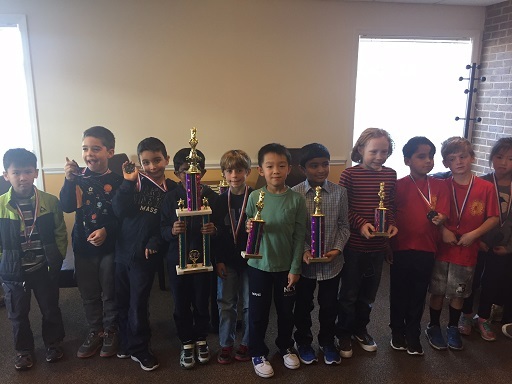 Followed by Sahil Vora, Cary Wang, and Tristan Gemelli in second, third, and fourth place respectively with 3/4 total points. Finally, Leah Zheng secured the fifth place spot in the leaderboard with 2/4 total points. The K-5 section, our largest section, hosted 17 players. Vikram Sarkar took first place with 4/4 total points, a perfect score! Max Ingargiola, Jacob Green, Thomas Schiwek, and Louis Savarese earned second, third, fourth, and fifth place respectavively with 3/4 points each. The K-8 section saw 9 players. 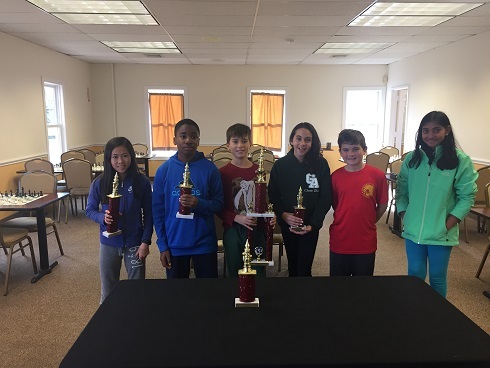 Nicholas Kurbanov, Mia Kai, Malcolm Whites, and Meena Behringer earned first through fourth place with 3/4 total points each. Following close behind, Darryl Wang earned fifth place with 2/4 total points. Congratulations to all the participants on a great tournament. We hope to see you all again soon!